Great news for all beauty addicts among you. 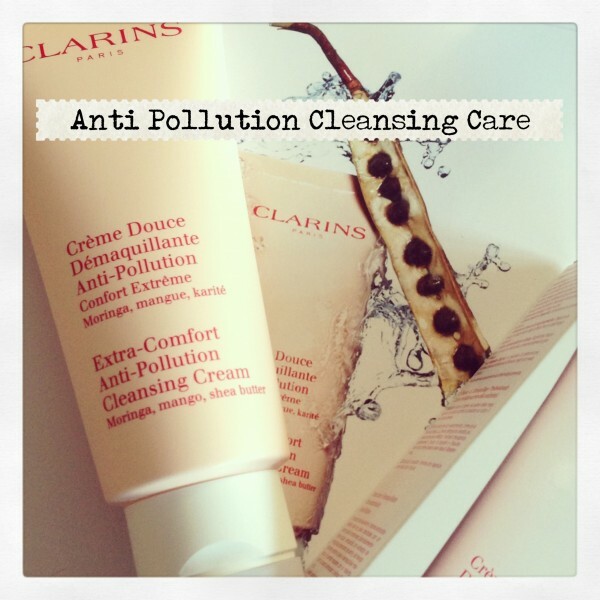 CLARINS has created a comforting anti-pollution cleansing cream for skin weakened by a polluted urban environment. Enriched with moringa extract, nourishing shea and mango, it combines extreme comfort with effective cleansing to restore perfectly clean, radiant and beautiful skin. For face and eyes! 1. Warm a small amount of cream in your hands. Apply a fine layer, then place hands flat on the face without pressing. 2. Remove hands briskly from the face. The cream will thicken and create a suction effect to lift off all make-up, impurities and traces of pollution without irritating or stretching the skin. Repeat this action 7 times. 3. Rinse and follow with a toning lotion. Available Mid April 2014 for CHF 39.00 (200ml).